Image of neurons cultured in a Petri dish. 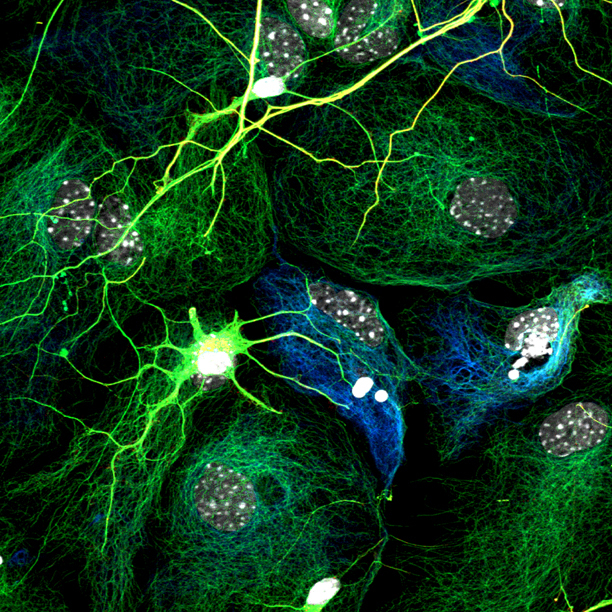 The dendrites, which carry information from other neurons to the cell body, are shown in green. 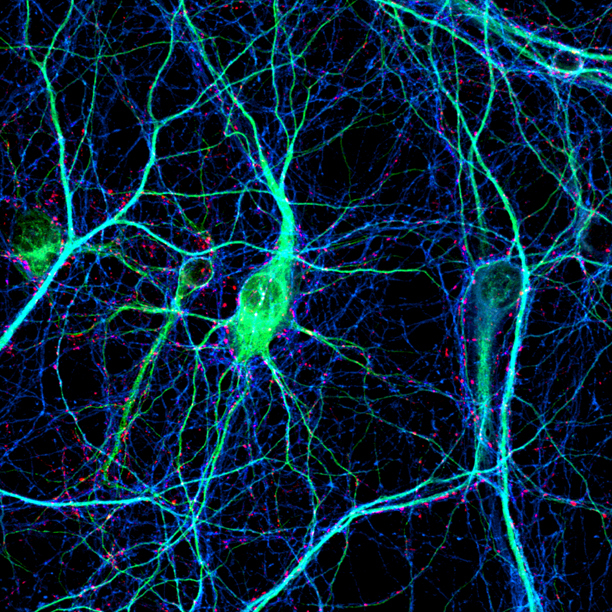 The axons, which carry information from the cell body to other neurons, are shown in blue. Some synapses, i.e. the contact points between axons and dendrites, are labeled in red. “the best lay book on brain science I've ever read.” -- Wall Street Journal by Daniel Levitin, author of This Is Your Brain on Music and The World in Six Songs. A “citizen science” community to test the hypothesis that the uniqueness of a person, from memories to mental disorders, lies in his or her connectome.